Your primary motivator in selecting a career field is that it must be something you enjoy. The second most important factor is that there are good opportunities for employment once you have completed the program. Most students entering a career training program in the healthcare field do it because they enjoy the work and helping people. A bonus is that there is an increase in jobs available in the field. No matter which area of healthcare you choose you can be sure that the jobs are on the rise. The salaries range from $28,000 to $41,000 per year depending on the certification, office, and experience. 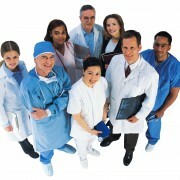 Job opportunities exist in many different doctors’ offices and various specialties. CMA’s handle a great deal of the administrative and clinical responsibilities within the office. Salaries for EMT’s average $37,000 and respond to emergency situations and emergency calls. EMT’s transport people to hospitals and work under very stressful circumstances. With an average income of $28,000, pharmacy techs also work in a variety of settings. Their primary role is to work with pharmacists in dispensing medications to patients. With a salary range over $50,000, a dietician guides patients in learning how to eat for a healthier lifestyle. Registered dieticians need to complete a Bachelor’s degree prior to becoming certified. Certified massage therapists can expect to earn an income between $35,000 and $50,000. Massage therapists work with patients directly to help treat pain by working with their muscles. 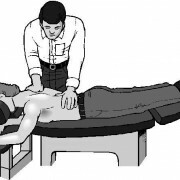 There are many settings for a massage therapist, but many choose to be self-employed. Apart from a highly competitive salary and earnings, there are many other benefits to working in the healthcare industry. As we have an aging society, there will be a continued increase in job openings. Not only will you have the satisfaction of helping others, you also have the benefits of job security and job stability. In addition, you will never be bored with your job. Because of the variety within the job, you will always have a new and rewarding challenge. Also, due to medical care being around the clock, there are many jobs that offer a variety of hours and varied shifts and scheduling that works best for you. For many, starting out in healthcare often leads to continued education and additional opportunities within the field, so the sky is the limit within the healthcare industry. Are you considering a career in the healthcare industry? 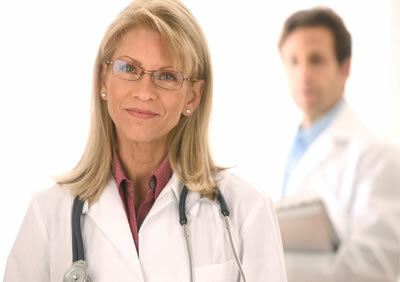 If so, then medical transcription may be the ideal choice for you. With appropriate accreditation, you can have a lucrative experience that provides you a great deal of freedom while still helping others. The history of this profession can be loosely traced by to cave writings depicting medical treatments. Since the early 1900’s, there has been an increased emphasis on maintaining comprehensive medical records involving patient care and doctor observations. If you become a medical transcriptionist, you will be responsible for listening to, and possibly reading medical professional reports, transforming the data into an organized, formatted document. Though there are some medical transcriptionists who have not undergone formal training, these are often people who have worked in the industry for years and possibly decades. During that time, their knowledge and skills have developed and changed with the industry. 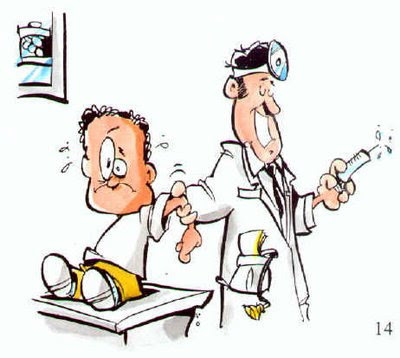 However, if you do not have this type of experience, medical transcription accreditation is the way to go! Most medical transcriptionists work as independent contractors, which provides you scheduling flexibility and work choices, even when your primary clients are on vacation or otherwise not in need of your services. Thanks to the Internet, you can also develop professional relationships with physicians in various locations. 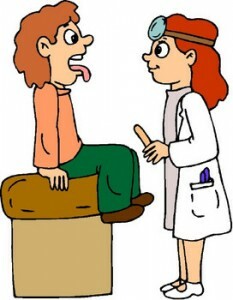 Keep in mind that medical lingo can vary, even if your potential client practices in another English speaking country. Before you sign with any educational institution regarding your certification, you need to verify that the learning center itself has the appropriate credentials for instruction, strong ties with professional organizations and a good reputation with graduates of the medical transcription program. You may choose to obtain basic certification through a six-month course. However, there are additional options including opportunities for you to earn your Associates Degree or more. Verify the institutional accreditation; if missing from their website, it is unlikely accredited. For those that do, delve deeper into the matter by finding out which government and educational bodies have verified the coursework is appropriately designed and will prepare students for a successful and reputable independent career. You can use this to obtain national and regional records of the medical transcription certifications are most recognized by the industry. You are likely to discover more specific degree choices as you peruse these sites. A worthwhile medical transcription certification or degree will provide you with ample courses that allow you to perfect your keyboarding skills so that you have virtually perfect accuracy while delivering the content rapidly. Additional components should include a comprehensive study of the computer applications relevant to your profession. Since much of the work is often exchanged and performed via computers and the Internet, it is vital that you have the training and knowledge to perform your job flawlessly, including using state-of-the-art advancements that allow the transcriptionist to use foot pedals and software designed specifically for medical transcriptionist use. The other vital aspect of coursework is the understanding of medical terminology as it relates to anatomy. You can have a fulfilling and flexible career by obtaining the proper certifications and taking continuing education classes to ensure that you stay abreast of industry developments. Many people do not know that they can make a decent living from a career in fitness. You can turn your love for fitness into a high paying career. It is not only a money reward, which should be your motivation, buy you also help people live healthier lives. You can do that by becoming NASM member. The NASM requires that you should be 18 years of age. This is because at the age of 18 years, your body will have completely grown. At this age, you are able to make sound decisions. NASM needs people who are able to be reasonable and mindful of others. Since the fitness career is all about others, at the age of 18 years NASM assumes that you know how to relate with people. To register with NASM, you are required to be 18 years of age. To complete high school is one thing but to have a certificate is another thing. You become a member of the NASM by doing fitness programs. One of the qualifications is to have a high school certificate. Since the fitness career involves the human body, you need to have passed biology sciences. This will give you an easy time understanding the fitness concepts and the reaction to human body. Having a high school diploma will enable you to take the NASM test. With the High school diploma, you will find it easier to read for the exams and to reason accordingly. It will give you a boost in any NASM course. You are required to have the current emergency cardiac care. You can get this skill from recognized first aid professionals like the Red Cross or crescent. The importance of this is that, fitness career has many challenges. This skill will come handy when one of your client surfers cardiac arrest. It is the very basic and important first aid method. This skill is very important in high exercise areas like the gym. With this skill, you will be able to save many of your clients. Even though as a physical trainer you should evaluate your clients, accidents usually happen. 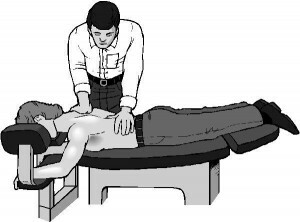 No matter how healthy the client is, he or she can suffer arrest due to the intensity of the exercise. The high intensity exercise may lower the oxygen level to the body. This may cause your client to collapse. CPR will be very important when this happen. This is the moral requirement. It may be tangible but it is what will make or break your fitness career. No one will know exactly what your aim is. However, to succeed in the fitness career you be passionate in matters health and fitness. You must also be willing to help others live healthier lives. Your passion will enable you to pass the NASM exams. It will motivate you to study hard and strive to be the best in the industry. If you want to enter a challenging, yet rewarding career field, you will be faced with many options and opportunities, but none like healthcare. If you have dreamed of becoming a medical professional, you will find that there are a large number of options available to you. The key is finding the right position that suits you. 1. Take the requirements of your program seriously. Upon completing your program, graduating, and passing your certification exams, you will be caring for patients every day. The programs are not meant to be easy, so prepare to spend a lot of time learning, studying, and preparing for all exams. There is a great deal of information to learn and the medical accreditation preparation can be a challenge. Be prepared to put in the hours and the payoff will be well worth the investment. 2. Understand the testing process. Once you complete your coursework, you will be expected to pass the certification exam. You may be allowed to retake the exam, but ideally you will pass it the first time around. There are a number of study options, but there is only one that is highly effective in guaranteeing that you pass the exam on the first try. MedPreps, a test preparation company, has created an endless number of practice exams for the different study areas to help every student pass the exam on their first attempt. By taking the exams, you will have an instant idea of what the certification exam will look like. 3. Focus on your needs. 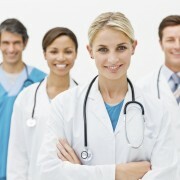 The MedPreps medical practice test is designed to identify the students’ strengths and weaknesses. With their accurate reporting, you are able to focus on your areas of need so that you can ultimately increase your final exam score. The best way to be successful is to focus on the study materials for medical certification and build your skills to improve your exam score. Use the unlimited exams to continuously test your knowledge, and the end result will be exposure to all of the information you will need. Using professional study guides will give you an edge, as they are written by the experts. 4. Use all of your resources. In order to be successful within the medical field, you will have to learn to use all of your resources. Use study guides that are available online so that you can have access 24/7. Most people returning to school or in a career-training program also work and have families. Trying to juggle everything can interfere with study time. 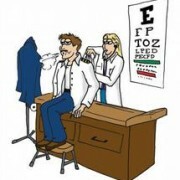 The best way to be effective and efficient is to have access to the practice exams from anywhere. A computer may not always be handy, so access via a tablet and a mobile phone will make a big difference in a student’s productivity. Learning to manage your time and not fall into the common traps of distraction is a great skill, and it should be mastered during this process. Completing all of your coursework, homework, quizzes, and exams is key to passing a course. Completing a certification exam will be a comprehensive look at everything that is most important in the work environment. Trying to recall everything is ineffective and unreasonable. Use the practice exams available to you to focus in on the most important areas. Also use the reporting to target particular areas of weakness that could reduce your final score. Taking and retaking practice exams will not only strengthen your skills, it will also focus you on the most critical skills. Use the practice exams to familiarize yourself with the exam and to increase your overall confidence. 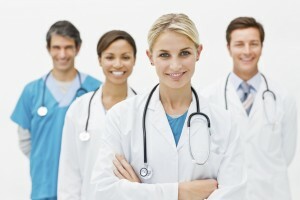 Pass your exam the first time and enter the medical field successfully by using practice exams. There’s a lot of talk about the NRCME and the registration of DOT medical examiners. However, we all know that registration often comes with additional unexpected baggage and additional requirements. The FMCSA has been very transparent about the future requirements of medical examiners, including how to get registered, how to get trained, and where to take the exam. 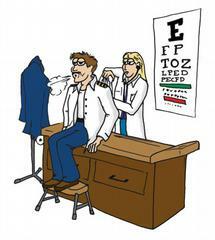 But what will be the requirements for medical examiners after registration is complete and it is DOT exam time? Though there is a bit of additional paperwork, with an efficient system in place, the extra time communicating with the FMCSA should be minimal. With those barriers out of the way, go and sign up for an NRCME training program and begin the training process! Training may be completed in a classroom setting or online. Following the certification, the examiner will be required to pass the NRCME test, which is a multiple choice exam covering the topics that should have been addressed in training. We highly recommend trying a few of our NRCME Practice Tests before you go for the real thing!